I made this using MFT sketch 241 and for colors used Simon says challenge of citrus colors. I started with BP 13 for my main panel. After making the whole card, realized I had used the backside, I guess the die is beautiful both ways. I took an MFT stencil- i found this after months and was so happy to find it- like a lost one come home:). i randomly sponged it with orange fizz, limeade and lemon drop. I have had Limeade for quite some time, but used it the first time, like the brightness it has. I used tons of MFT ink colors to stamp the modern blooms- love this set, I die cut them and then stamped them. I used lemon drop with orange fizz, Limeade with jellybean green, Saety orange with tangy orange. The sentiment (LJD stamp)is stamped with steel gray and the heart with electric red. 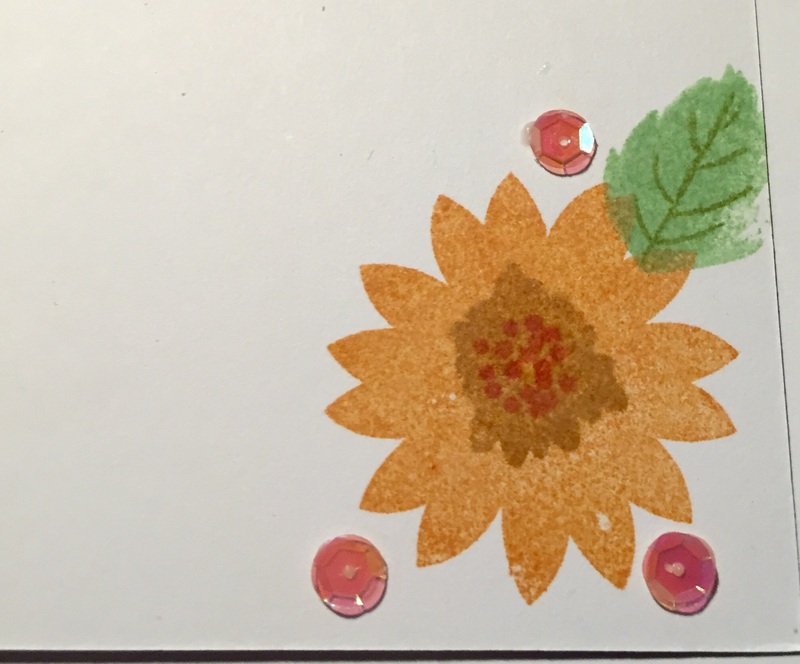 I used the cross stitch circle stax and sequins to finish the card. This was fun. Also adding to Love To Scrap- Anything goes. A very pretty card. A great choice of colours. 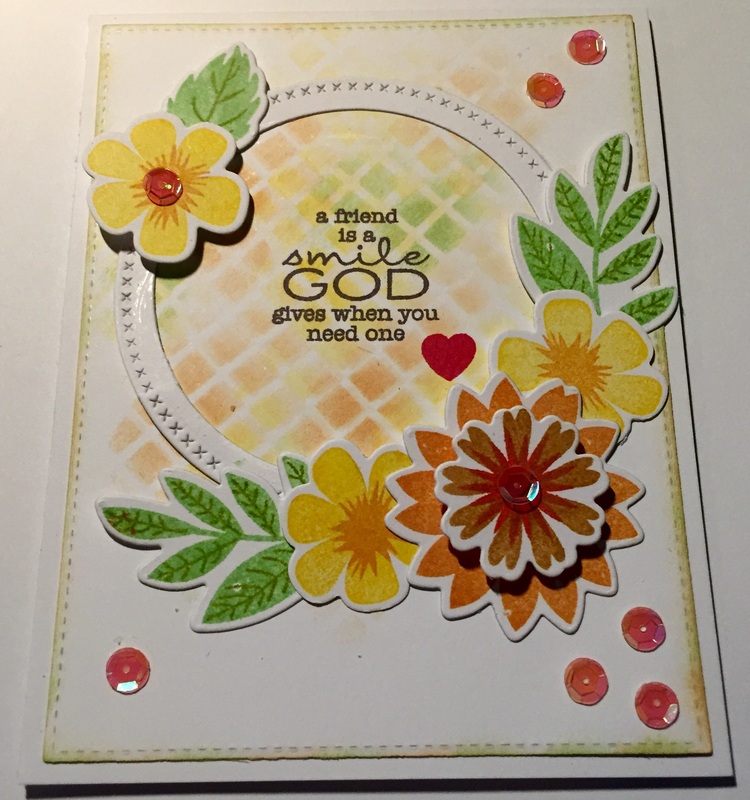 Lovely card, and love your soft citrus colors in the center! Thanks for joining us at Simon Says Stamp Monday challenge! Such a simply lovely card! It captures the challenge theme perfectly. So glad to have found you through Simon Says Stamp’s Monday Challenge. This is a wonderful card. The color combo is fantastic and i love the background behind the circle. I really like the sentiment too. Thanks for joining us at Love to Scrap.